Well, here's my attempt to make something almost minimalistic. Wallpaper mostly chosen due to my girlfriend had to enjoy looking at it too. 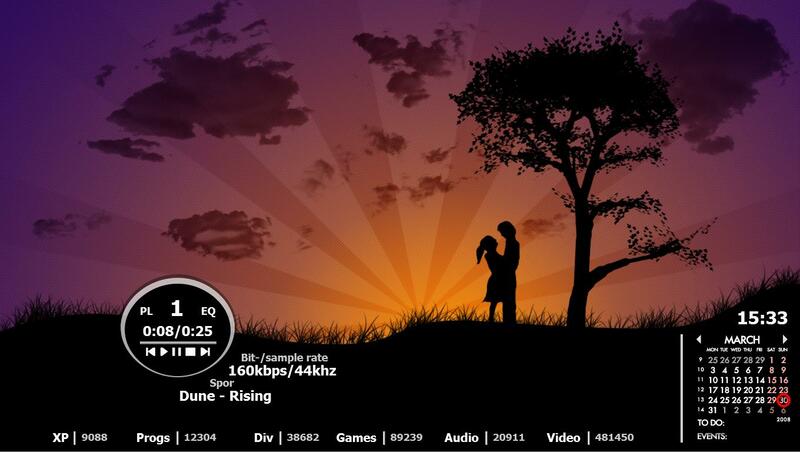 Winamp player is made partly in mspaint (buttons) and the rest with background graphics within Samurize config editor. The simplicity making this config very easy to run on any computer, even with very (!) high refresh rates to display the correct time. I have been thinking about putting a clock up somewhere, so watch out for a version 1.1 or something.